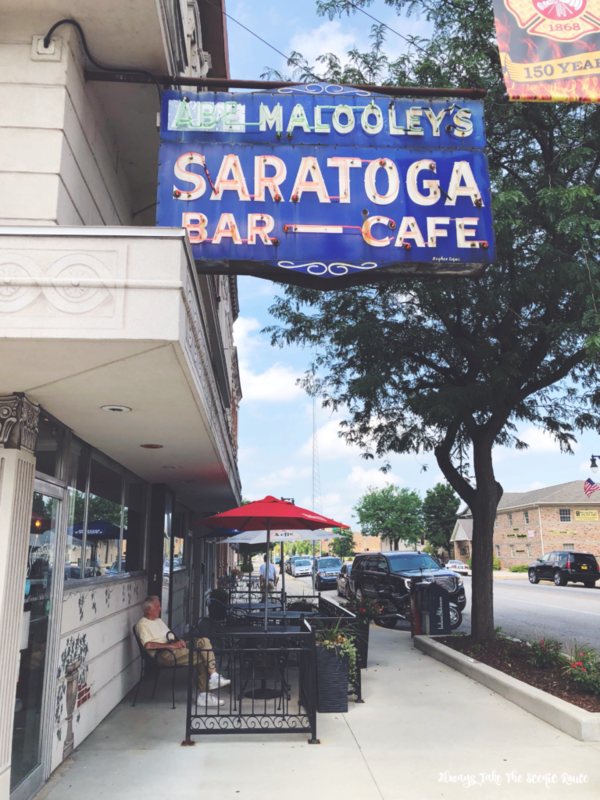 What a better way to kick off our Taste Terre Haute series than with a restaurant that has been a part of the Wabash Valley for over 75 years. The Saratoga opened it’s doors in 1942 at the corner of 5th & Wabash and it still sits in the same location today. 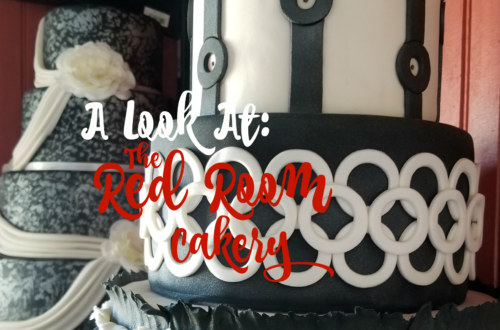 The restaurant is still run by the Azar family, now in it’s third generation, and has since been updated and expanded into a beautiful space to dine and make memories with family & friends. Taste Terre Haute will run for two weeks; July 16th-29th. 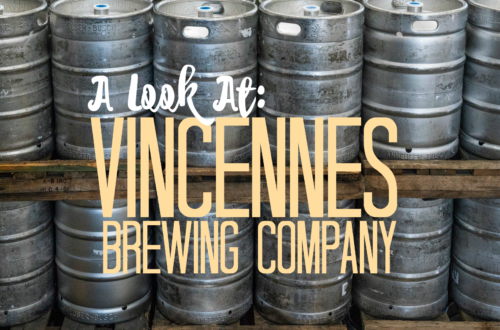 The event will highlight a variety of restaurants in the Wabash Valley and showcase their unique offerings. 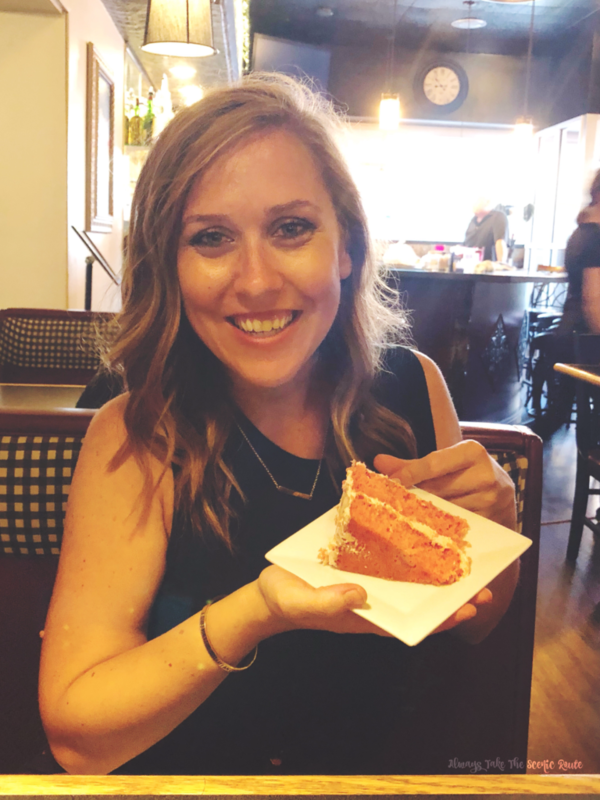 Every participant will be asked to offer a “deal” aka their own “taste” to diners, whether that is a special menu, free dessert, specialty cocktail, percentage off a meal; the specifics are up to each individual restaurant. 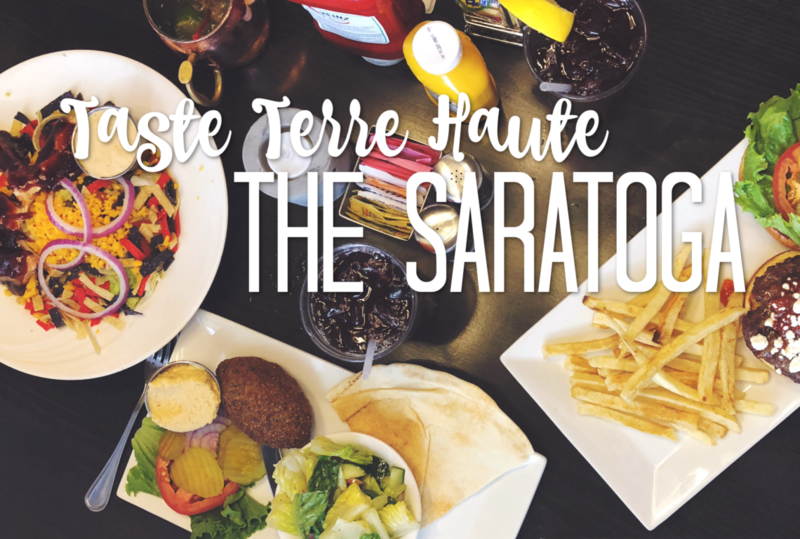 The Saratoga is a member of the Terre Haute Chamber of Commerce and for Taste of Terre Haute they are offering lunch & dinner specials for their guests. 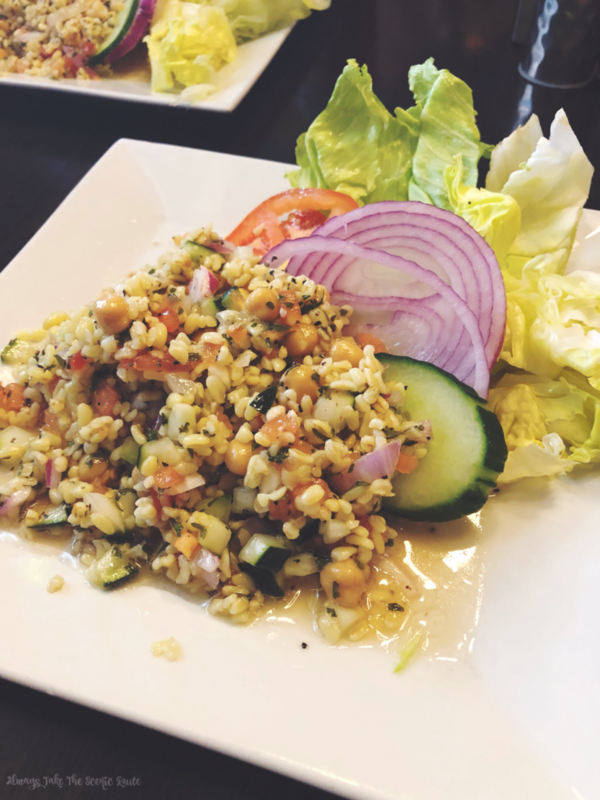 The Suff Salad: A healthy grain salad combined with garbanzo beans, tomatoes, red onion, parsley, and cucumber tossed in a lemon and oil dressing. The Saratoga’s lunch specials for Taste Terre Haute are $1.00 off the menu price of their customer favorites. Including: Breaded or Grilled Tenderloin, Saratoga Pepper Jelly Burger, Deep Fried Kibby, Black Bean & Veggie Burger, Suff Salad, & the BBQ Chicken Salad. 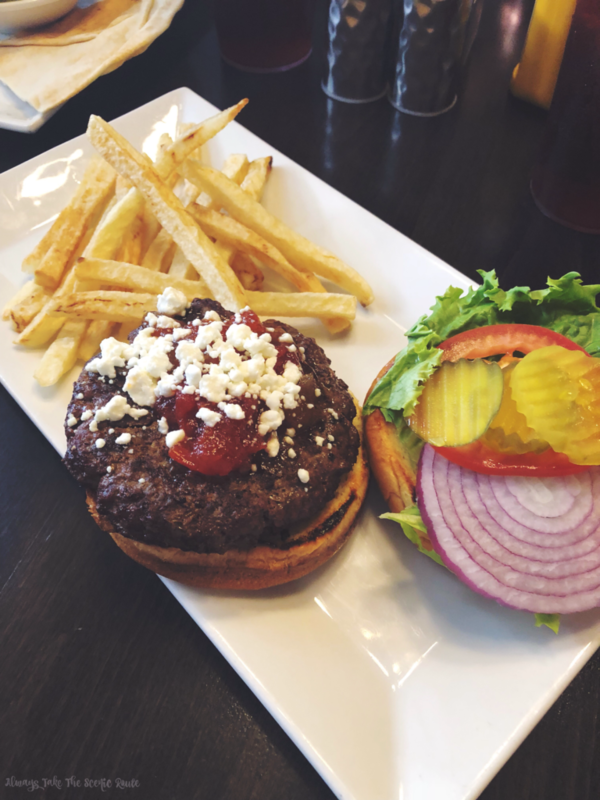 Saratoga Pepper Jelly Burger: Featuring their homemade sweet onion and pepper relish topped with goat cheese. Deep Fried Kibby: A Middle Eastern staple made with lean ground beef and bulgur, stuff with a mixed of sautéed beef and onions. Served with Syrian salad and Pita bread. BBQ Chicken Salad: Grilled chicken smothered in bbq sauce on iceberg lettuce. Topped with tomatoes, red onions, crunchy tortilla chips, shredded cheese, and a fiery roasted black bean and corn salsa. Served Chipotle Ranch. 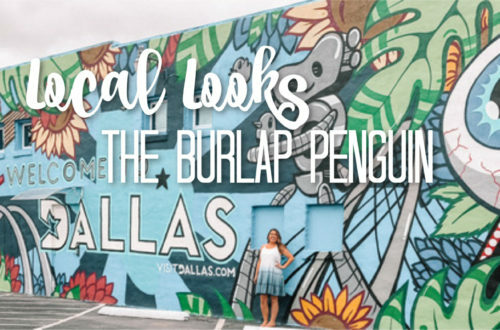 I tried 75% of their lunch specials and they were all amazing options. I highly recommend trying their Pepper Jelly Burger, the goat cheese isn’t too overpowering and it’s got the perfect amount of sweetness. To top off all the food we consumed, The Saratoga also offers a ever-changing plate of handmade desserts that are TO DIE FOR, literally. 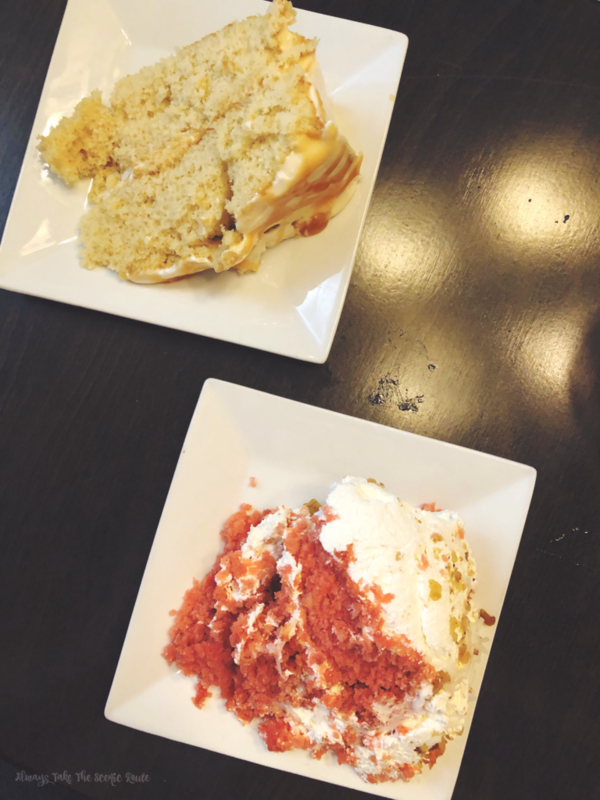 We opted for the Butter Pecan Cream Cake & my personal favorite Strawberry Punch Bowl Cake. You honestly can’t go wrong choosing a dessert here, and don’t skimp out on it, otherwise you will be very sorry you did. Now moving onto the evening menu, Saratoga’s dinner specials for Taste Terre Haute are $2.00 off the menu price of their customer favorites. Including: Prime Rib of Beef Au Jus, Panko Crusted Chicken, Banana Rum Pork Chops, Sesame Crusted Salmon, & Fettuccine Alfredo. 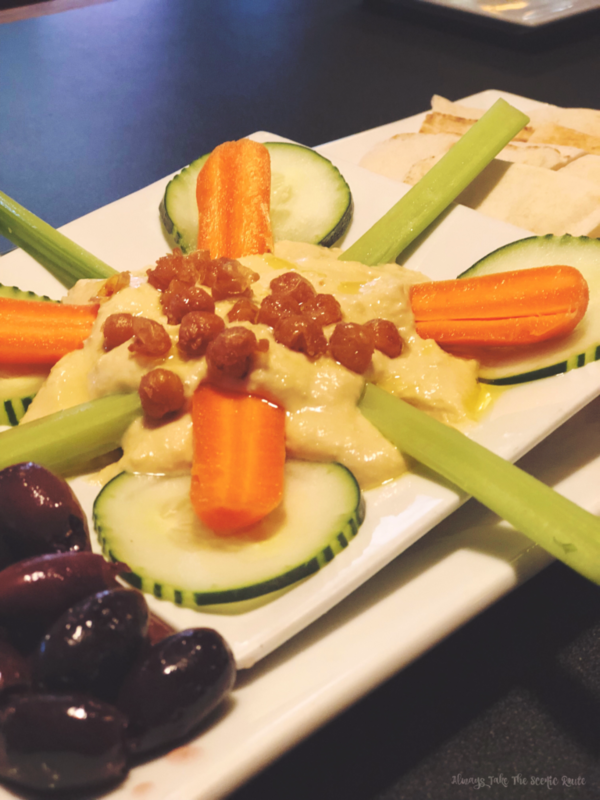 Mazza Plate: Pureed chick pea dip seasoned with garlic, salt, lemon juice, and olive oil. 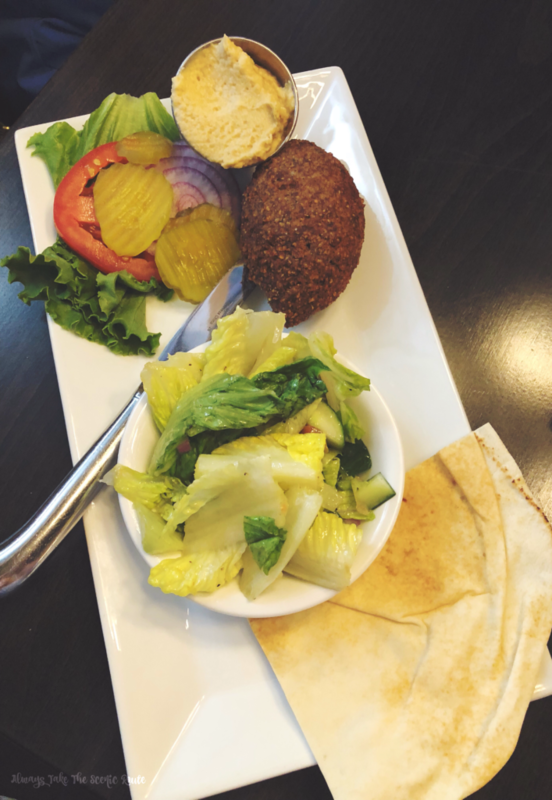 Served with fresh vegetables, Feta cheese, Greek olives, and Pita Bread. 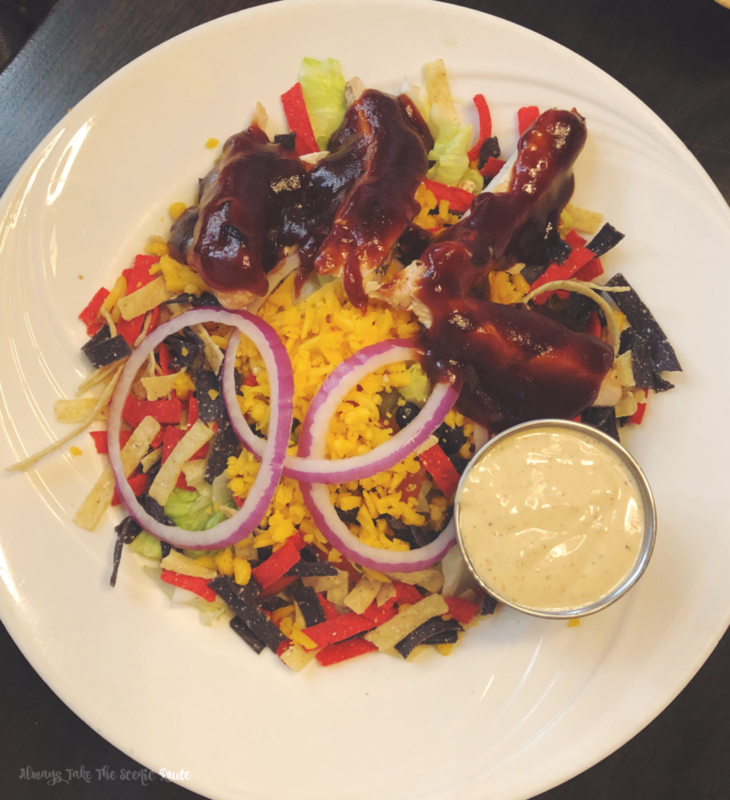 We couldn’t help ourselves and decided to order a Mazza Plate as an appetizer, this option is not part of the Taste Terre Haute specials for Saratoga, but it is a delicious addition to your meal that is light and healthy and easy to share. This is a great alternative if you like hummus. Panko Crusted Chicken Breast: Lightly floured chicken cutlet covered in Panko bread crumbs and pan seared. Served with a heavenly herbed goat cheese sauce. 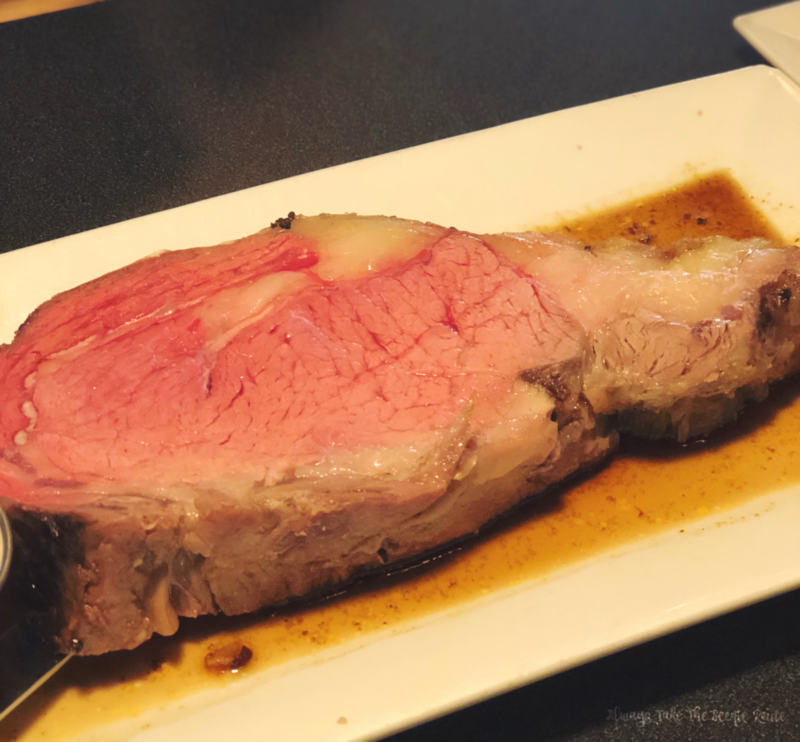 Brittany decided to conquer the “meat sweats” and ordered a generous sized portion of prime rib. She almost finished it off but declared to save room for the desserts I couldn’t shut up about. I ordered the chicken and it was cooked to perfection with the right amount of crunch. The waitress pulled our leg and we decided to finish off the evening by splitting a piece of the Strawberry Cake. The Saratoga is open Monday-Wednesday 11am-2:30pm, Thursday 11am-9pm, & Friday-Saturday 11am-10pm. 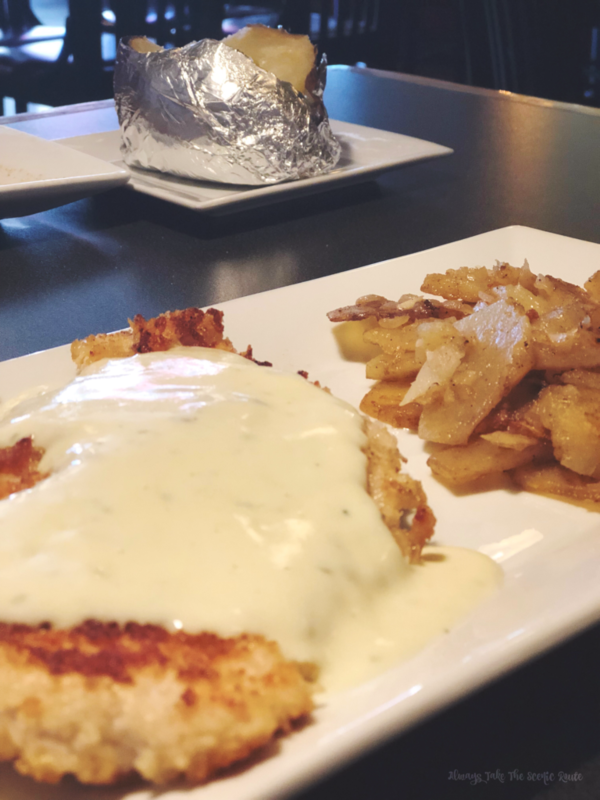 They are one of the few local restaurants in town that actually takes reservation requests, so reserve your table for lunch or dinner online today to take advantage of these specials. 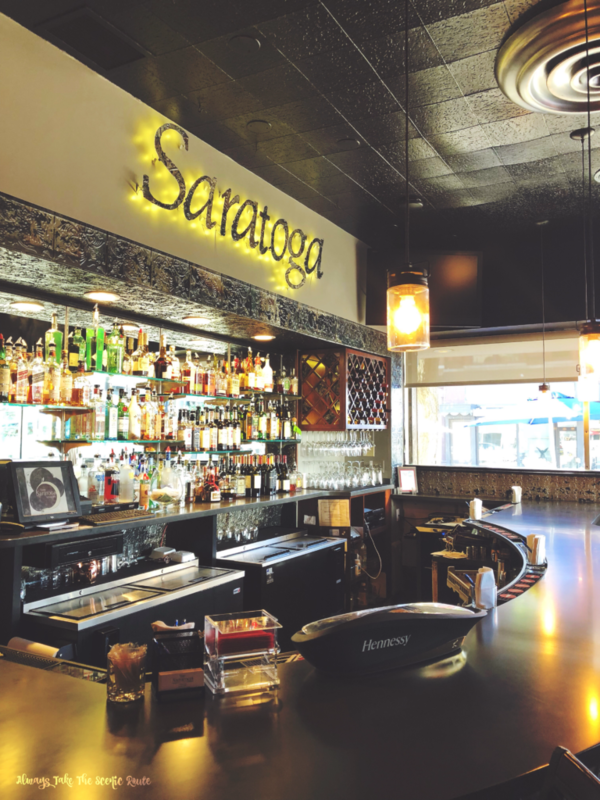 We would like to thank The Saratoga restaurant for providing us with exceptional customer service & the opportunity to pig out on all their amazing menu items. We will be back to explore their menu and certainly hope you all take advantage of this amazing event put on by the Terre Haute Chamber of Commerce and sponsored by Pepsi Refreshment Services. 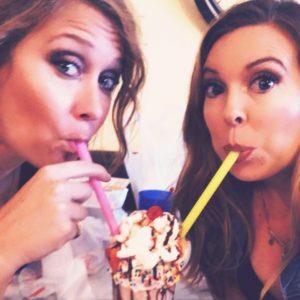 Don’t forget to follow them on Facebook & Instagram!